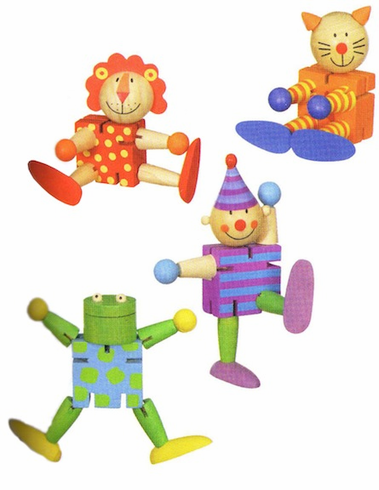 These bright 3" wooden characters have slotted bodies that allow arms, legs and heads to be posed in a variety of positions. Assorted colors and styles. Price per item.